Good News! 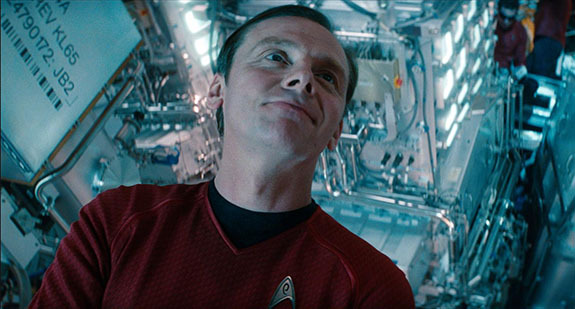 Simon Pegg to co-write Star Trek 3! Boy, things are really looking up for Star Trek 3 now that Roberto Orci’s involvement has been minimized. Now Justin Lin has taken the captain’s chair, and Simon Pegg will co-write a new draft of the screenplay with Doug Jung, creator of TNT’s Dark Blue and previous Bad Robot collaborator. It’s not yet clear if this is a page one rewrite or a new pass on an Orci draft, but I’ll be damn curious to find out who gets writing and story credit when this movie gets made. Star Trek 3 is scheduled for a US release on July 8, 2016, and I’m finally looking forward to it.